Caption: A dramatic view of Philadelphia highlights the contrast of new and old living side by side. 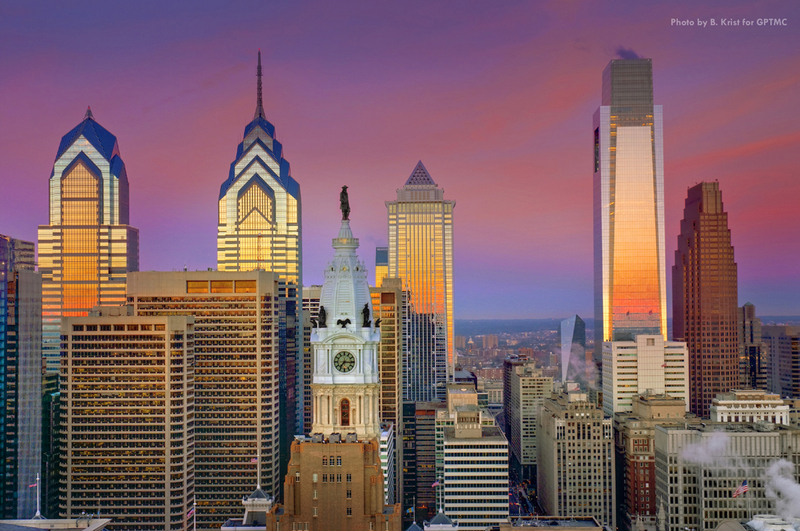 In the center of the shot stands the bronze statue of the city�s founder, William Penn, sitting on top of the 511-foot City Hall Tower with its lighted clock. And the newest addition to the skyline, the Comcast Center on the right towers as the tallest building between New York and Chicago.